Then we got the right plane for you. Owners of the big Discus pakage get a 30% discount! Dann haben wir das Richtige für dich. Besitzer des großen Discus Pakets bekommen 30% Rabatt! No I'm sorry, this is not possible, but you'll get 30% discount when you buy the DiscusK if you already own the big pakage. CumulusX hat nichts mit Approaching Innstbruck zu tun. Nur in einem Umkreis um Innsbruck hast du die Funktionalität der Vollversion von CumulusX. was hat es mit dem von dir angesprochenen "grossen Discus-Paket" auf sich; welchen Inhalt hat das Paket, zu welchem Preis und wo kann man es auspacken? Darin enthalten sind auch einige motorisierte Varianten und vor allem der C4 Endanflugrechner mit vernünftigem Variometer etc. 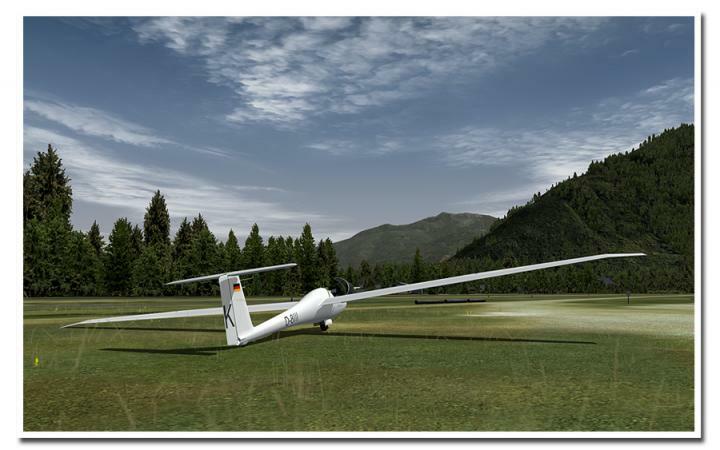 I was happy to see an aerobatic sailplane offered by aerosoft, but why the Discus K? certainly not a competitive offering, perhaps it was easy to do from the existing discus? 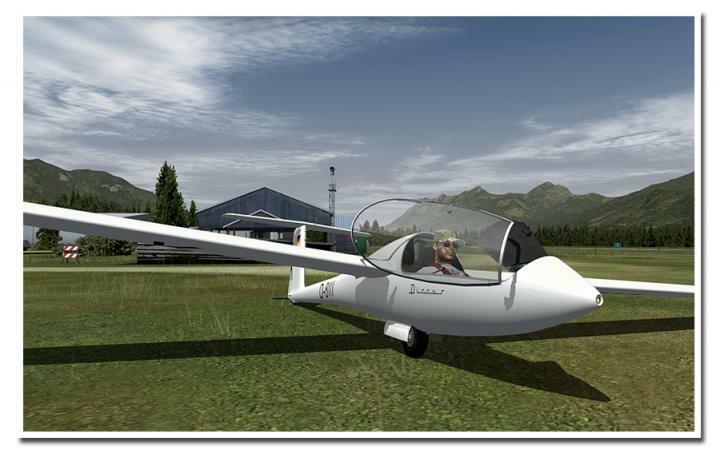 I have flown it extensivly on FSX with realism set to high and find it very fragile and unrealistic, i have flown in a real ASH 25 pulling a positive 7-8 Gs, (in the hands of a factory pilot) this one the D-K proportedly sressed to aerobatics breaks. Perhaps you need to tweak the flight characteristics to reflect the real world, not just the design specs.. Why not a Fox or Swift, I would love to see either of these dedicated aerobatic ships. Not to criticise too much, it is still an excellent sailplane rendition by Aerosoft, make more. What a cheek to call the Discus K unrealistic, without ANY experience in the real thing! Within its limits it is pretty close to the real thing. The limits are from FSX but they are more or less exactly where they were in the real thing. For example the inverted flight wasn't very well. So it is not in FSX. The Discus K is by far the most realistic aerobatics plane in FSX because FSXs physics are not able to simulate more! Why no Swift, Fox, Extra??? Because it is NOT possible. Other companies sell such aircraft and tell they fly realistic, but they don't! While I totally understand your defensive attitude, I don't buy the fact that the discus K is the only aerobatic plane that could in theory be modeled in FSX physics. I am not a soft ware programmer but I am a pilot and airplanes don't behave as does the discus K. The compaqrison to an ASH 25? yes your right strange and telling, in the hands of an expert experienced professional pilot sailplanes don't suddenly break at design limit thresholds. Blame it on FSX physics if you want. As a plus I do appreciate that you have to watch the g meter carefully in order to keep the plane within its modest limits. Give some reasons why a Fox or Swift could not be modeled in FSX. I am interested in knowing more. Read Joachims post carefully again. He only says that the Discus K is the most realistic aerobaticsplans currently modelled in FSX, not that no others could be done. He only says that others can't be done more realisticly. The reason why no Fox or Swift can be modeled is that there wouldn't be enough customers to buy it to earn enough money to make to project economicly sensefull. The Discus K was chosen because parts of the old Discus X project could have been used in the K model, therefore reducing development costs and making it an economic success. A Fox or similar planes would need to be made from ground up and therefore eat up more money in development. As they could only be sold at the same price than the Discus K (Customers wouldn't buy it anymore if it was more expensive) the developer would get less money from the project. That's the reason. in fact I was referring to the technical fact. FSX is not able to simulate inverted stalls for example. Hence it is not possible to do inverted spins or snaps. The whole flight model is too sluggish as well. When flying a plane with a higher roll rate, it does not stop immediately when you center the stick. Try this in the Extra, a nightmare. The original stoppes immediately and hard, the FSX one (and the "aerobatics planes") add ons slowly stop their roll rate. The physics are simply not suitable for real aerobatic planes. THESE are the main reason for not doing a real aerobatics plane for FSX. I really think a realistic flying Extra or Swift would sell but is simply impossible hence no serious developer would dare to try to develope and sell one. Why no Swift, Fox, Extra??? Because it is NOT possible. Thanks for the explanation, I accept the fact of engineering costs making it prohibitive to produce a unique prototype., it makes good business sense. Scwiegler did in fact say what I thought he said , see post asbove i messed up the quote function. 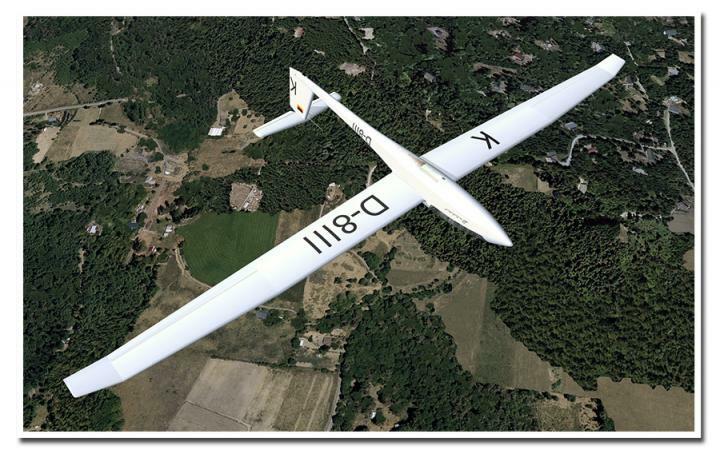 I accept the fact that FSX has its limitations, its what it is, but it would be quite possible to model a sailplane with 8G positive and 6G negative tolerances, we accept The limitations of Fsx, piloting technique can overcome the "oversteer" that FSX imposes, why use that as an excuse not to produce high performance sailplanes? It would be very nice to have a more worthy offering from you fellows who obviously have the expertise to accomplish this. Thanks for your further explanations, it is fine, I understand the economics and broached same in my first post. The K is a very realistic plane within its limits, it teaches disipline. I suppose Alebo and IRIS are serious developers and they have attemted aerobatic planes, But I understand your penchant for extreme accuracy. As an aircraft designer in the real world, I am not encumbered by simulation mechanics, only aerodynamics, of which FSX seems to have an excess of (too much fluidity). I designed a nice little aerobatic sailplane for X plane, but that is easier for me, as the way it handles aerodynamics seems intuitive. It and other Xplane renditions seem to have a more realistic system for aerobatic control response , the planes stop precisly on imput. Too bad the overall package of X plane seems to lag in realism. Thank you for your fine models and high standards. Is flutter in some way modelled into the Discus X, K? I do not have FSX installed anymore, but I did buy the DiscusX, which I consider by far the best glider model for fsx! A nice 2013 to you all!!!! I believe that, given the limitations imposed by the uderlying platform (fsx) the discusx is the best soaring experience I had in fsx! It does not model flutter, as I tested by taking it to different altitudes and taking it to the limits until overstress pumps in.